A pediatric physical therapist and graduate speaks about how she has found a way to life life. She has found freedom that is endless and sees the impossible as possible! their personal and professional transformations. 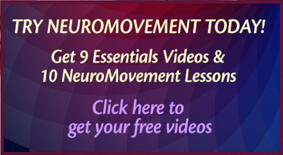 Learn about our ABM Continuing Education Mastery Workshops – NeuroMovement®: Working with Children with Special Needs. Leanne, a graduate, mother of a child with special needs, and dancer recovering from a major hip injury speaks about her transformation while completing the ABM NeuroMovement® Training Program. Watch more video testimonials from our graduates who are also parents of children with special needs. Jessie, who has neurological challenges, has found this work to be very helpful with her condition. She affirms: It is the smartest work she has ever done. Watch more video testimonials from our graduates who share their personal transformations. Ready to Apply? Learn How to Join our ABMI Practitioner Training Program. Read the story of Ann, one of our Practitioners, and her amazing transformation: ABM NeuroMovement Training Is Profoundly Life-Changing. 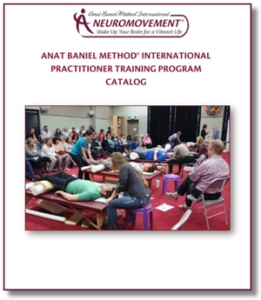 Juan Carlos Concha, a doctor of Osteopathy from Spain, speaks about the transformation in his life and career as a result of taking the Anat Baniel Method® International Training. sharing their transformations from this program.